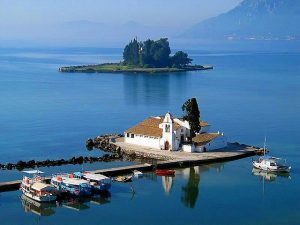 Discover and explore the hidden beauties of the island with the hospitality and security of Corfu Sunrise Car Hire. 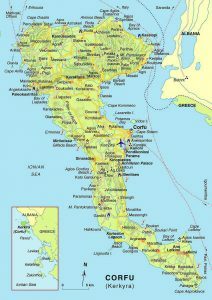 Information, recommendation and tips for Corfu island and town. 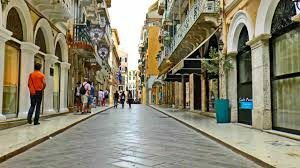 Corfu Town or Kerkyra (10 mins): is as pleasant a major holiday centre as you will find anywhere in Greece. 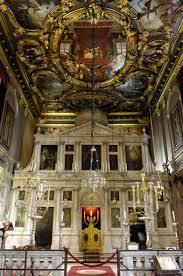 Venetians, French and British have all had a hand in developing the town and the results are both impressive and attractive, especially since 1994 when public buildings were given a major clean-up in preparation for a EU summit. It is dominated by double forts. 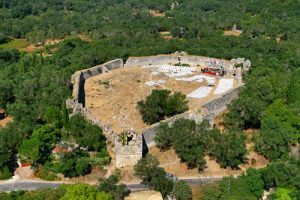 The 13th century Neo Frourio (New Fort) with its dungeons, cellars and impressive turret battlements is much more interesting to visit than the older but less exciting 6th century Paleo Frourio (Old Fort).Liston is built by the French in the same style as those in Rue de Rivoli. Cricket was playing on the pitch opposite the Liston. 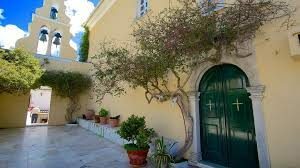 Paleokastritsa (35 mins): is a village on the west coast of Corfu island and consists of six beautiful caves with sandy beaches, surrounded by green forests and olive trees. Local tavernas are renowned for serving up the town’s delicious lobster catches. Also has a castle and a monastery. 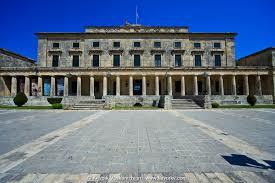 Achillion (35 mins): is the summer residence that was build in name of the Austrian empress Elisabeth between 1889 and 1892 on the Greek island of Corfu. 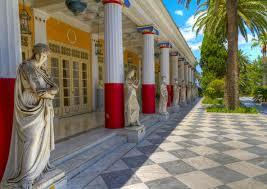 After Elisabeth had visited Corfu in the sixties on several occasions for health reasons, she became very interested in Greek mythology. She travelled to Greece on a regular basis. Pelekas (30 mins):13 kilometres west of the town, a lovely village set on a rocky hill, whose summit – according to the Corfiots say – is the best place to watch the sun go down. 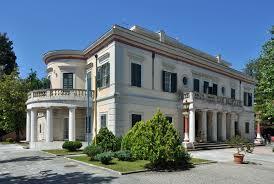 Not far from Pelekas in the Ropa Valley is situated Corfu’s excellent golf course. 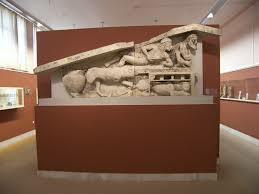 Kanoni (15 mins): is world famous Kanoni is situated south of the Palaiopoli peninsula. It was named Kanoni (cannon) after the battery of artillery established by the French in 1798. One of the battery’s cannons still stands at the tourist kiosk. In front of Kanoni is the Monastery of Vlaherna, linked to the mainland by a cement dock and built in the 17th century. From there one can visit Pontikonissi. 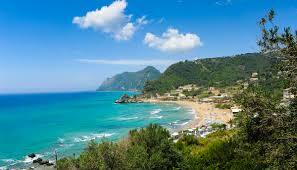 Its the famous coves of Canal d’Amour are situated at the west of Sidari, on the northern side of the island. 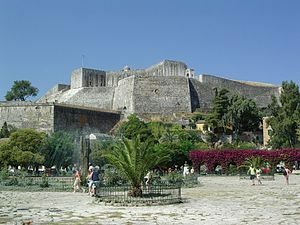 It is one of the most impressive and photographed spots of Corfu. * Times are estimated from Corfu New Port by car and may be changed depending on traffic and speed. Our company started to operate since 1980. 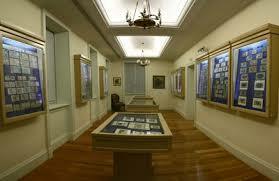 Under the management of Konstantinos Ginis who graduates the Economic University of Athens. The Sunrise team consists of capable staff ready to lend their experience, knowledge, and support to our customer. Our strong point is offering good cars, clear-cut hassle-free insurance coverage and prompt delivery. Check out our 24hr airport delivery and our economy cars. 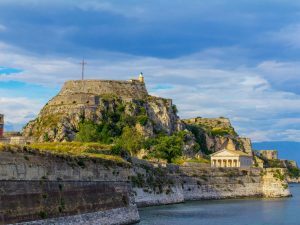 Our head office is located opposite the new custom’s building on the main road of Corfu’s new port (address: 16, Ethnikis Antistasseos street). 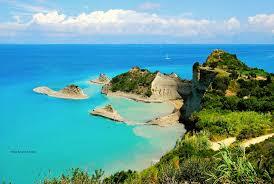 Due to our long experience we are able to offer the best prices and service in Corfu island. 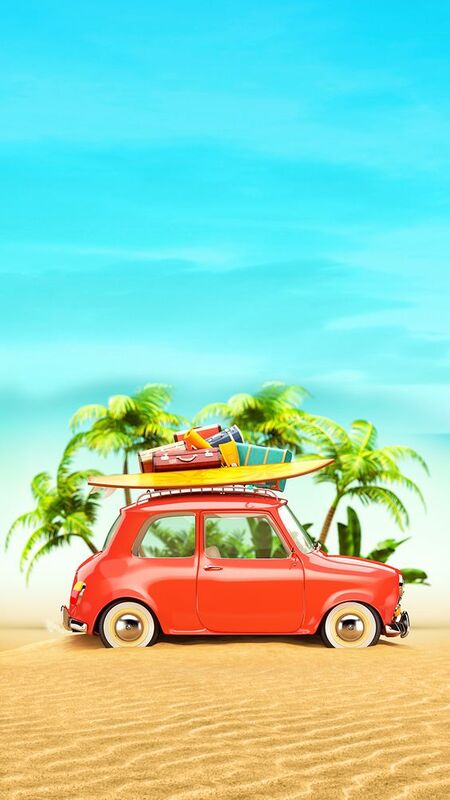 We are available to answer any time, questions you might have concerning your car hire requirements. Thank you for your time visiting our site.